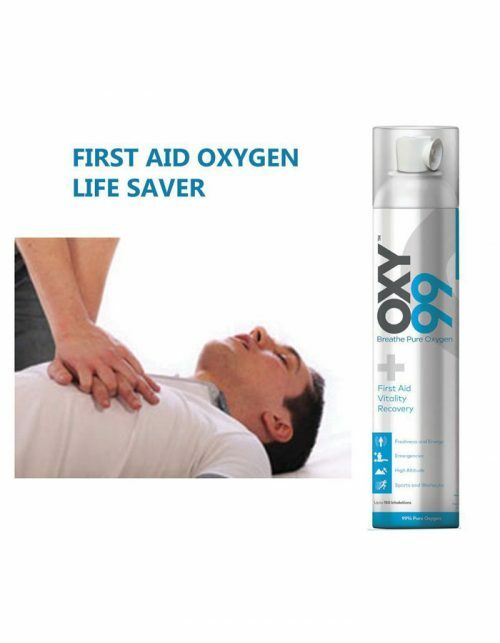 Oxy99 offers oxygen cans that contain 99% pure oxygen, which helps in raising or restoring oxygen level in the body. OXY99 is a premium product manufactured under approved drug licenses and SOP as per the latest Indian pharmacopeia guidelines (I.P. 2014). Pack Size: Bottle Contains 6 liters , 150 Inhalation. 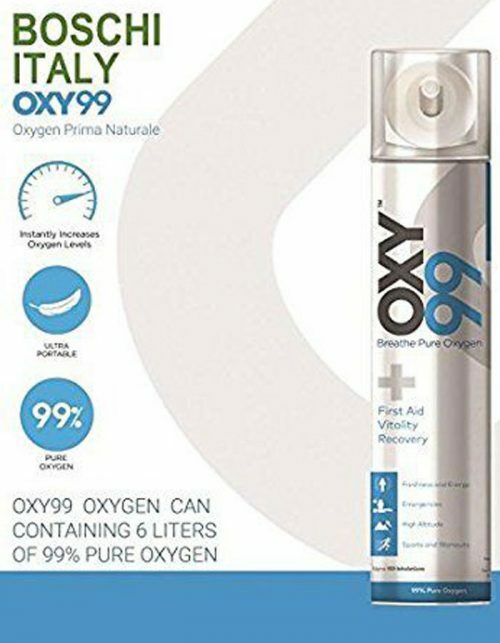 Our OXY99 portable oxygen bottle is ideal for 66 million COPD patients as it is easy to carry and use. The bottle is light-weight weighing just 120 grams. Our portable oxygen is packaged in a can containing 99% pure medical grade oxygen with 150 inhalations. 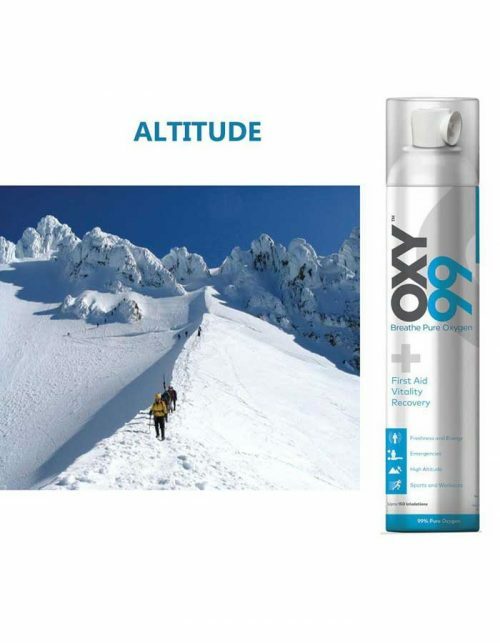 By inhaling just 3 to 5 short bursts, OXY99 helps to recover from conditions resulting in low oxygen levels in the body. Provides immediate relief as a first aid during emergencies. Helps recover from breathlessness caused by pollution, smoking, stale air, poorly ventilated rooms, high altitude, etc. Instantly helps regain energy, freshness and mental focus after long working hours, sleepless nights and hangovers. 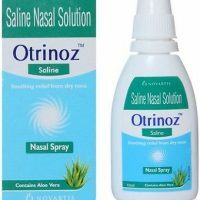 Useful if suffering from lung disorders or respiratory diseases including asthma, COPD, etc. Improves breathing and recovery during fitness during fitness workouts, increase athletic sports performance and increases protein absorption in the body. What Does Oxygen Shortage Do to the Body? Oxygen shortage has been linked with heart conditions, cancer, respiratory and lung diseases , sinus problems, inflamed, swollen and aching joints and even sexual dysfunction. As we grow older, our cells lose the ability to carry oxygen causing oxygen shortage in the brain and body. 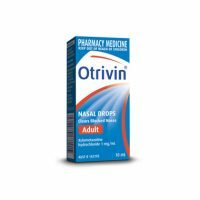 Life Saver: Natural oxygen is essential and used as a vital element. Respiratory Aids: In various applications such as C.O.P.D, Asthma, Hypoxia, Hypoxemia, Influenza, Emphysema, Breathlessness and many more. Emergencies: Patient waiting for Ambulance equipped with Oxygen facility. High Altitude: Reduced air pressure and lower oxygen levels at high altitudes above 2000 Meters cause acute mountain sickness. Sports: During Sports oxygen levels reduce which leads to fatigue, increases stamina, endurance, reduces stress levels, improves memory, alertness and concentration levels. Press trigger short burst of oxygen into nose or mouth while inhaling deeply. Also compatible with the oxygen mask.